“Sobre el pucho” by Juan D’Arienzo y su Orquesta Típica with Héctor Mauré, 1941. 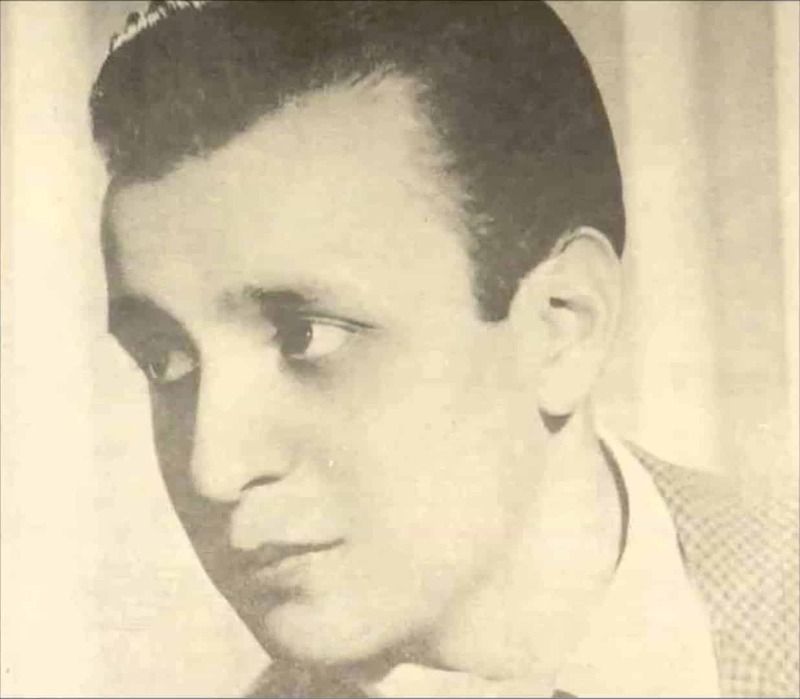 Lyrics for tango were born around 1914, based on those ones conceived by Pascual Contursi that year and the following years (“De vuelta al bulín”, “Ivette”, “Flor de fango”, “Mi noche triste (Lita)”), and they were growing strong very slowly. So much so that in Carlos Gardel’s repertoire tangos were, until the next decade, a rare bird. There was not even a notion of how to sing a tango, a standard that Gardel was gradually establishing after 1922. That was, precisely, the year José González Castillo truly disembarked in the genre with the lyrics of “Sobre el pucho”, after Sebastián Piana’s music, which was introduced at the talent contest organized by Tango cigarettes. 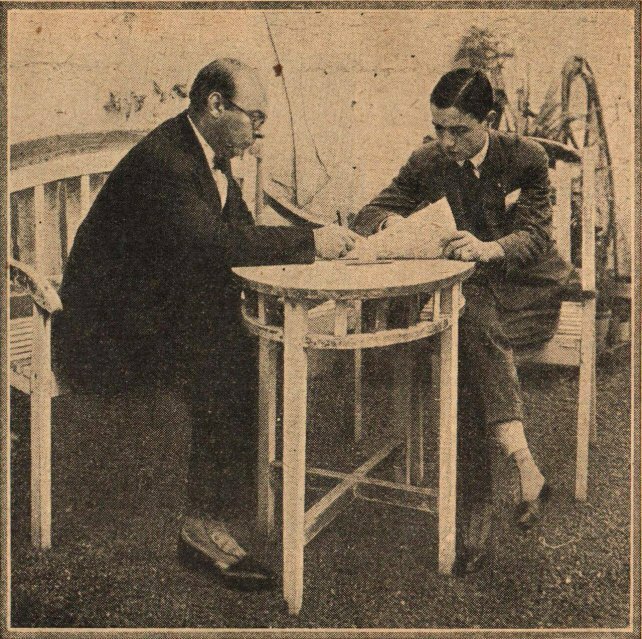 José Gobello (Crónica general del tango, Editorial Fraterna) stated about this work that, with it «some novelties broke into tango that the tango literary work of Homero Manzi would later turn into true constants. By the way, Pompeya («Un callejón en Pompeya/y un farolito plateando el fango…»); later, the description of the neighborhood and, soon, the enumeration as a descriptive procedure». But in those lyrics there is something else, metaphor, that springs up in the memory that the malevo devotes to his lost love «…tu inconstancia loca/me arrebató de tu boca/como pucho que se tira/ cuando ya/ni sabor ni aroma da». It is clear that González Castillo was a forerunner, and also that other later lyricists were who deepened those trends. Continue reading. 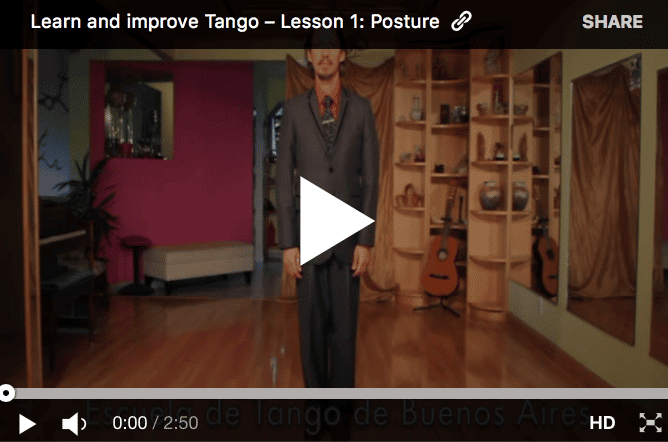 Here some videos to review the exercises made in class. Try these exercises and please let us know if you have any questions. “La Trilla” by Carlos Di Sarli y su Orquesta Típica, 1940. He, as nobody else, knew how to combine the rhythmic cadence of tango with a harmonic structure, apparently simple, but full of nuances and subtleties. He was not enrolled for any of the two streams of his time. His was neither a traditional orchestra, styled after Roberto Firpo or Francisco Canaro nor a follower of the De Caro renewal. Di Sarli imposed a seal of his own; a different musical profile, which remained, unaltered throughout his prolonged career. In the beginning, his sextet reveals us the influence of Osvaldo Fresedo. And certainly, I think there would have never been a Di Sarli had not existed a Fresedo. But, only as necessary forerunner of a style that, with time, would become a pure model with its own and differentiated nature. He was a talented pianist, maybe one of the most important, who conducted his orchestra from his instrument, with which he mastered the synchrony and the performance of the outfit. In his orchestral scheme there were not instrumental solos, the bandoneon section sang at times the melody, but it had an essentially rhythmic and danceable role. Only the violin was showcased in an extremely delicate way, on a brief solo or on a counter melody. Continue reading. 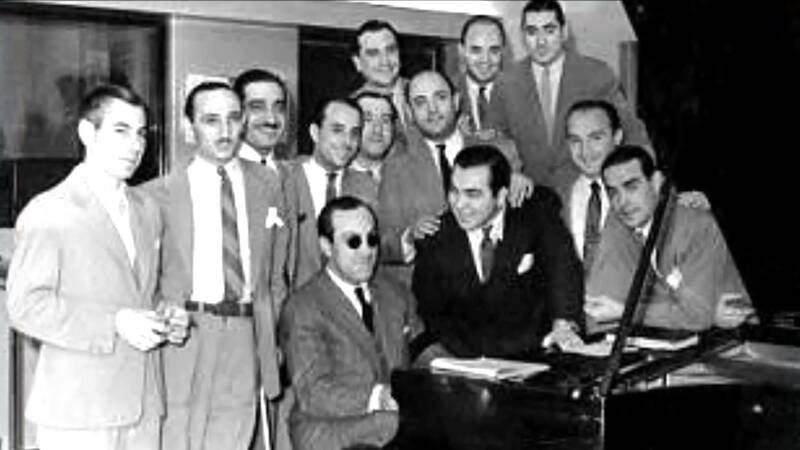 “En un beso la vida” by Carlos Di Sarli y su Orquesta Típica with Roberto Rufino, 1940. Listening to Roberto Rufino when he sang “María” or “La novia ausente” or “Malena” or any of the tangos he had chosen for his repertoire, was to realize that that tango was unraveling little by little and that the words sprang up separately, without forsaking the whole that gathered them, with the proper strength they had to have in their context. Rufino was that: a storyteller, a phraser, an interpreter that perfectly knew which was the meaning of what he was singing. He was born on January 6, 1922, on 753 Agüero Street —in the heart of the neighborhood of el Abasto—, son of Lorenzo Rufino and Agustina Guirin, although in his birth certificate is written the day he was filed on the records, on the 8th day of that same month and year. A little bit yonder, on Agüero and Guardia Vieja Streets, the café O’Rondeman was placed, where Carlos Gardel attempted his early songs. A premonition? Maybe, because Rufino as well started at the old café of his neighborhood, which still was run by the Traverso brothers. But there is a further coincidence: in the same year, 1935, his father and Gardel died. And in 1936, a few days after the cortege which was mourning Carlitos to his final abode had passed along Corrientes street, El pibe del Abasto —as he was called since the early days at O’Rondeman, made his professional debut; he was also called El pibe Terremoto— at the Café El Nacional, as vocalist of the Francisco Rosse typical orchestra, to switch, a little bit later, to Petit Salón, with Antonio Bonavena orchestra, composer of “Pájaro ciego” and uncle of the would-be boxer. But we are still in the singer’s prehistory. Continue reading. These lessons focus on crosses, systems and rhythm. For these videos, our music choice was some of the recordings of Pedro Laurenz y su Orquesta Típica. Practice and enjoy it! Our teaching philosophy and method.